High Protein High Fiber Breakfast Bars in Two Fabulous Flavors: Peanut Butter Chocolate Chip and Oatmeal Raisin Walnut, Toasted Almond Coconut. 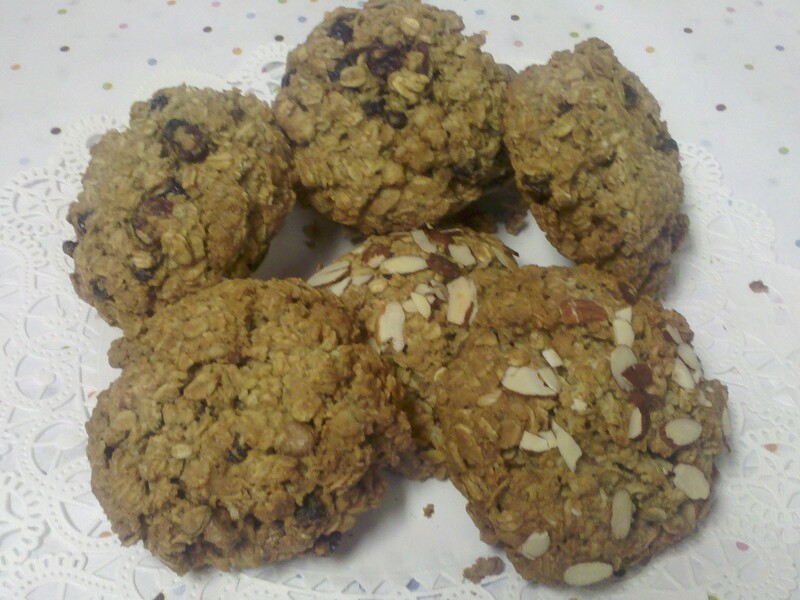 This cookie is a meal replacement for busy people on the go!Made with pure whole Gluten Free oats, whole wheat flour, nuts, fruits and brown sugar. These cookies are hard to keep in stock. Perfect to just toss in your purse, golf bag or lunch box.